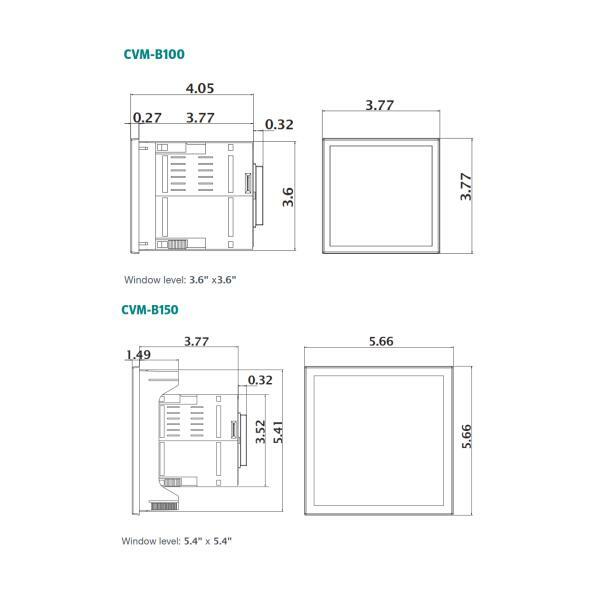 The CVM-B100 and CVM-B150 units are panel mounted three-phase power analyzers (dimensions: 3.77″ x 3.77″ and 5.66″ x 5.66″, respectively). 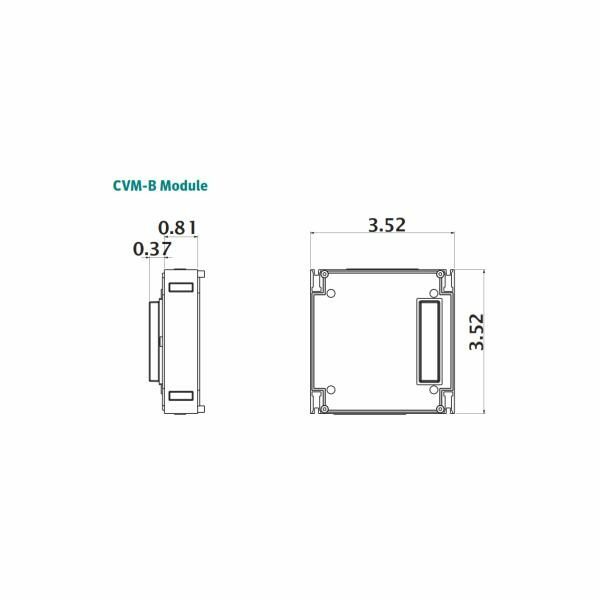 Both offer 4-quadrant measurement (consumption and generation). 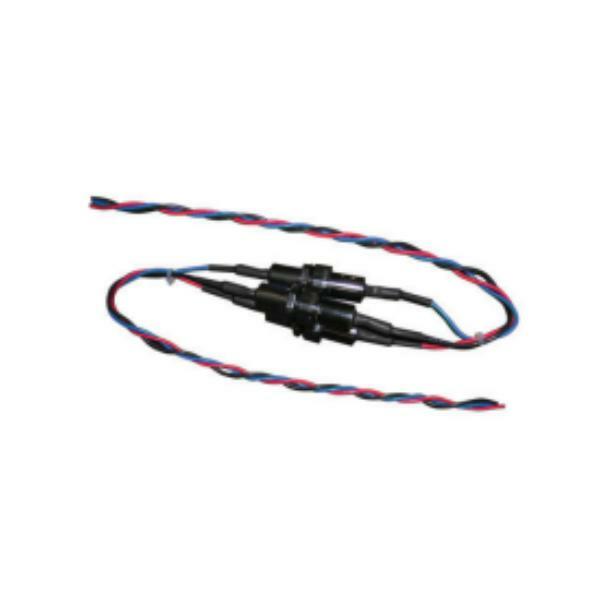 Suitable for Medium or Low voltage installations, in both 3 or 4-wire three-phase circuits, two-phase circuits with or without neutral, single-phase circuits or ARON connections. 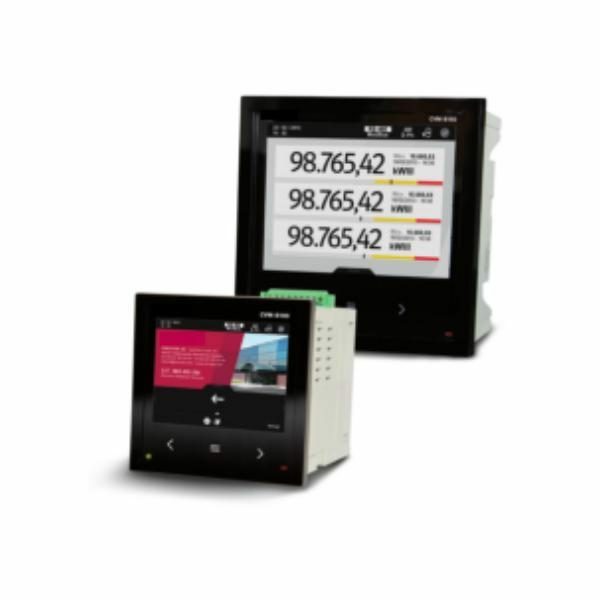 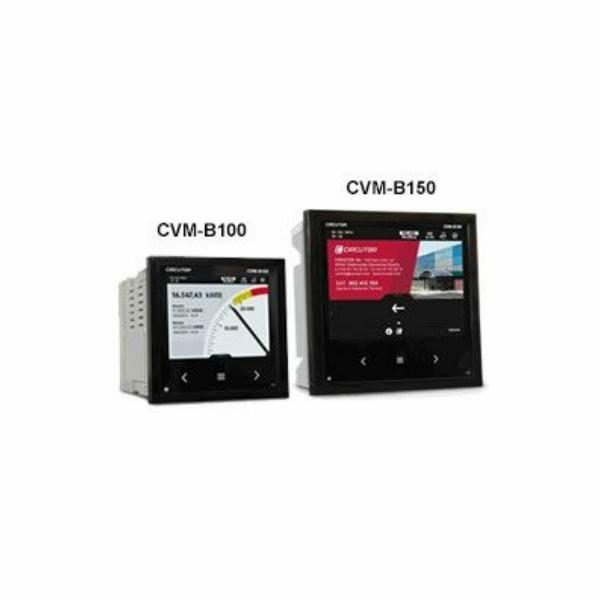 The CVM-B100 and CVM-B150 high-performance units feature a measurement engine that allows the user to analyse many different electrical parameters, in addition to offering a large variety of optional expansion modules for the same unit. 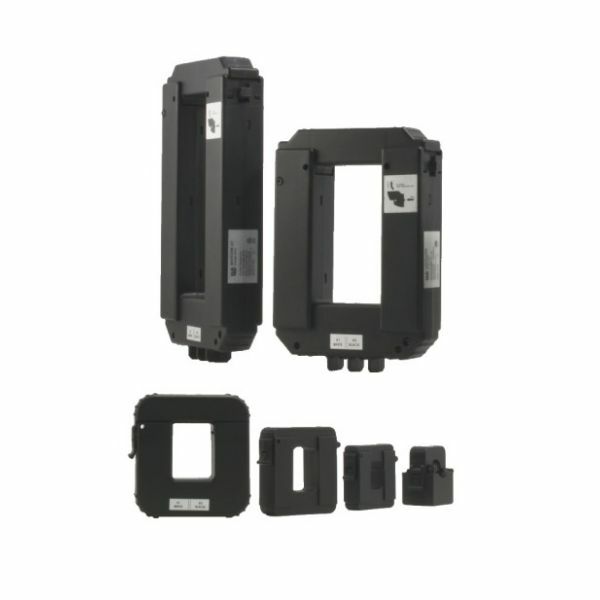 2 Relay outputs for alarms with delay, times, ON and OFF, etc. 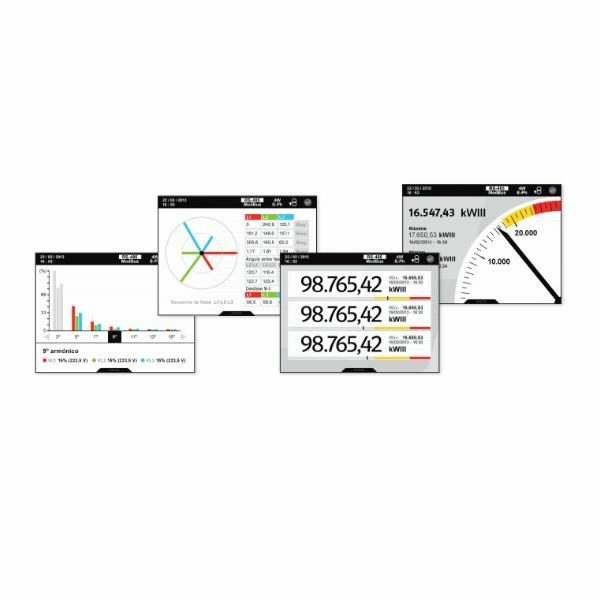 Control and monitoring of all electrical parameters measured in any electric distribution panel and low and high-voltage connection points. 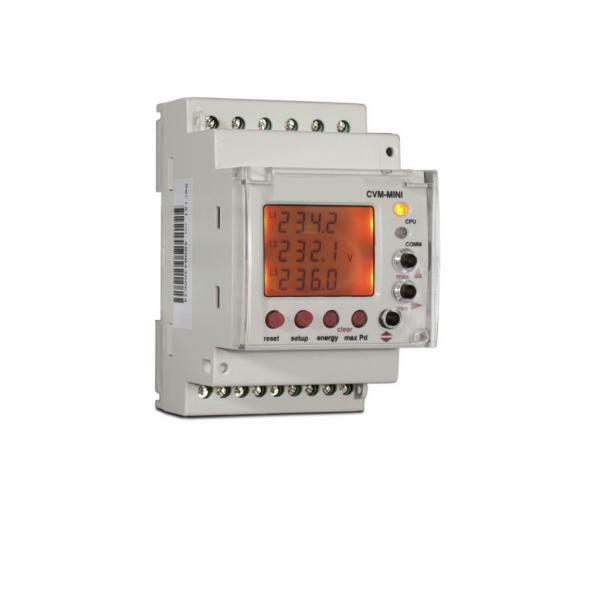 4 alarms (2 per transistor and 2 per relay), fully and independently programmable: low or high value, hysteresis, connection/disconnection delays, normally open or closed standby status and interlocking. 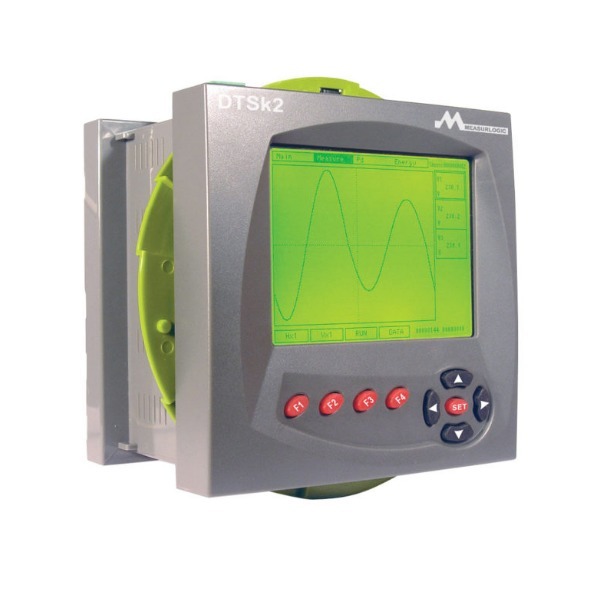 Transducer that converts analogue signals to any instantaneous parameter that the unit can measure or calculate, with built-in expansion modules with analogue outputs. 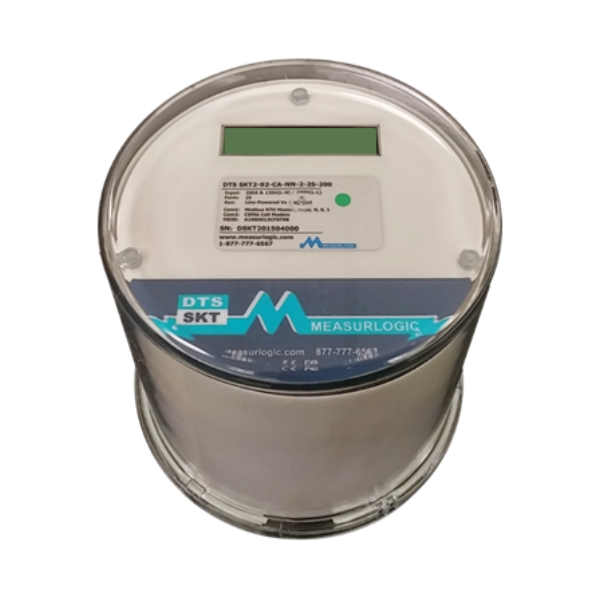 Autonomous datalogger with web server, connected to a M-CVM- AB-Datalogger module. Enables direct monitoring of the historical data stored in the unit via a conventional web browser.